As members of the U.S. House of Representatives and U.S. Senate were called to order for the first session of the 113th Congress, two freshmen members were from San Diego's delegation. Among the 56 new Democrats and 38 new Republicans being sworn in by Vice President Joe Biden and House Speaker John Boehner were U.S. Rep. Juan Vargas (D.-Calif., 51st District) and U.S. Rep. Scott Peters (D-Calif., 52nd District). Vargas, the first Latino to represent the 51st, filled the seat of newly-elected Mayor Bob Filner. Peters unseated former Congressman Brian Bilbray by a very narrow margin in November. The freshmen Congressmen told NBC 7 San Diego they are very optimistic that this new Congress can work through party lines. 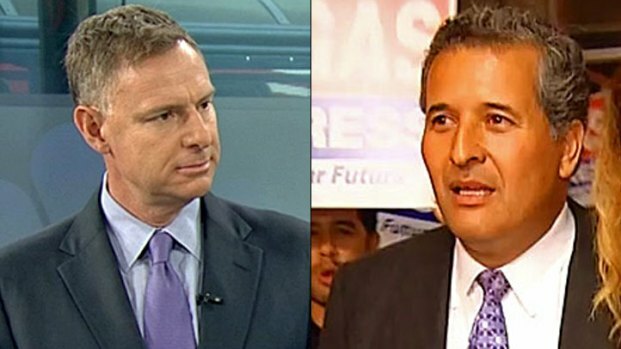 San Diego U.S. representatives Scott Peters and Juan Vargas were sworn in today as part of the 113th Congress. “Let’s not play games,” U.S. Rep. Vargas said Thursday after admittedly being inside the Capitol Building for ten minutes. Peters said the message from voters in November was for lawmakers to start working on problems including one of the first issues on the agenda - what to do about the debt ceilin g.
Peters and Vargas were sworn in Thursday afternoon by the newly re-elected Speaker of the House John Boehner.